At a Georgia Walmart in the fall of 2013, 17-year-old W.M. did something not entirely unusual for someone his age: he shoplifted a $2.97 set of Halloween vampire fangs. Unlike most shoplifters, however, W.M. was caught and arrested. He appeared in juvenile court just a few weeks later, but at the time no public defenders were available to represent him. The judge gave W.M. a choice: he could waive his right to counsel and move forward to finish the case, or he could come back at a later date when a public defender might be available. W.M. chose the former, proceeding with the case and pleaded guilty to the charge. For the theft, W.M. was sentenced to 40 hours of community service and 9 months of probation, during which he was expected to follow a strict 8 p.m. curfew. The sentence may not seem very severe, but it is a very apt representation of what happens when juveniles waive their right to counsel and plead guilty without fully understanding the consequences an associated sentence might entail. For W.M., an 8 p.m. curfew could mean not being able to participate in school sports that require late games, or be able to hold most of the jobs available to people his age. Since the 1967 Supreme Court in re Gault decision, juveniles have been guaranteed equal consideration as adults under the sixth amendment, which entitles all people access to an attorney. This guarantee is not always fairly upheld, however, especially in regard to juveniles whose families cannot afford a private lawyer and must rely on receiving a public defender. Youths that are allowed to waive their right to counsel without first being given the opportunity to consult with an attorney are being denied these rights. In 2015 this issue came to the forefront of the U.S. Department of Justice’s attention, which released a statement of interest in regard to juvenile access to public defense. The statement asserts that states are responsible for ensuring that a juvenile signing of a waiver for their right to counsel is “knowing, intelligent, and voluntary”, and that they were allowed access to counsel in more “than name only” prior to signing such a waiver. Georgia is perhaps one of the most glaring examples of the public defender crisis that many states are facing. In early 2015, a class action lawsuit was filed against the State of Georgia, asserting that the state was not able to provide public defenders to all adults and juveniles in their justice system. The suit originated in the Cordele Judicial Circuit, a group of four central Georgia counties. In 2009, the public defenders office of the Cordele Circuit removed two of its public defender staff positions, which left the remaining three attorneys responsible for nearly 1,700 indigent cases every year. Since this reduction, less than 10% of the youths in the Cordele Circuit juvenile court have received representation each year. It was also found that the juveniles who the public defenders did represent typically only spent around 15 minutes with their counsel, and were often led to plead guilty to all charges. Another state experiencing a crisis is Missouri; in early 2017, the ACLU filed a class action lawsuit against the state’s public defender office. The 53-page complaint was filed on behalf of five Missouri residents involved in the state’s criminal system, accusing the office of being unable to provide representation to indigent defendants. They point out that there are too few available attorneys, which leaves them with too many cases and not enough time to represent everyone. When asked for comment, the director of the Missouri State Public Defenders Office stated, “A lawyer can probably only handle 40, maybe 50 cases at any one time. Our lawyers have three times that amount, and people are taking pleas because they're sitting in local jail waiting for their lawyer to get to them.” He blames the underrepresentation issues on the state’s reluctance to hire more attorneys to the public defender office. One of the areas that the ACLU suit pays particular attention to is St. Louis County, where just a single public defender is employed by the county’s juvenile court system. In 2014, this one person was responsible for 394 cases; a report by the National Juvenile Defenders Council found that 60% of those juveniles went before the court with no legal counsel. Why do juveniles waive their right to counsel? 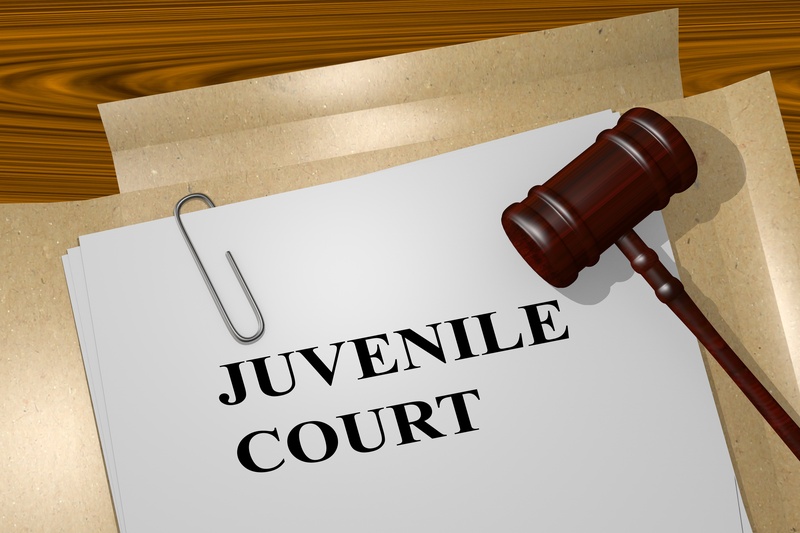 There are many reasons that a juvenile might waive their right to an attorney. Most often, a juvenile does so with the belief that it will speed up the process so that they can be released and go back home. What these juveniles do not realize, however, is that they are far more likely to return to the system after being involved with it just once. Juveniles who must attend their initial detention hearing without counsel are more likely to be sentenced to being held pending trial. Further research has shown that these juveniles are not only far more likely to be found guilty than juveniles that aren’t held, but they are also far more likely to be sentenced to serve time in a detention facility. Quality representation is critical for each and every juvenile that becomes involved in the justice system. The most basic thing that public defender offices across the nation can do is to hire more attorneys, but that isn’t always an easy proposition. Often, juvenile justice falls low on the state’s budget priorities, leading to a lack of funding for more positions. One potential option to help the budgetary issues is the use of Multisystemic Therapy: an evidence-based intervention that works with at-risk youth who are at risk of being involved in the juvenile justice system. Not only are the results enduring, this program shows enormous cost savings for communities when it is made available. Communities that offer Multisystemic Therapy see a dramatic drop in arrest and crime rates, which can save up to $23,000 per juvenile versus traditional arrest and incarceration costs. The program also reduces the long-term risk of recidivism, preventing juveniles from re-entering and further taxing an already over-taxed system. Even when there are open public defender positions, those within the juvenile court sometimes go unfilled. “It’s often seen as a training ground or a dumping ground for attorneys because historically juvenile court has not and, in many cases, still is not viewed with respect within defender offices,” says Marc Schindler, a former juvenile public defender who is now the executive director of the Justice Policy Institute. The pay rate for juvenile defenders is significantly less than that of other defense attorneys, and as such these positions often end up being a stop for attorneys just out of law school on their way to better paying opportunities. Reform is attainable, however, if states start making juvenile justice a priority, by creating realistic budgets for the department, implementing counseling services to prevent crime, and by having a chain of accountability to ensure that no youth is denied timely access to counsel. To learn about how Multisystemic Therapy is positively changing the lives of youth and families, view our proven results by clicking here.